The elegant design of this wicker storage seat is a perfect addition to any outdoor or indoor setting. 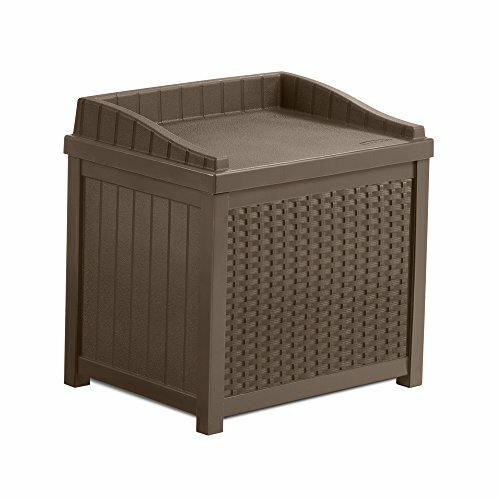 Providing, not only, a large 22 gallon space for storage, but also a convenient seating solution on its flat lid. Ideal for storing yard and garden supplies in the summer or boots, hats and gloves in the winter. This unique product is great for any season.